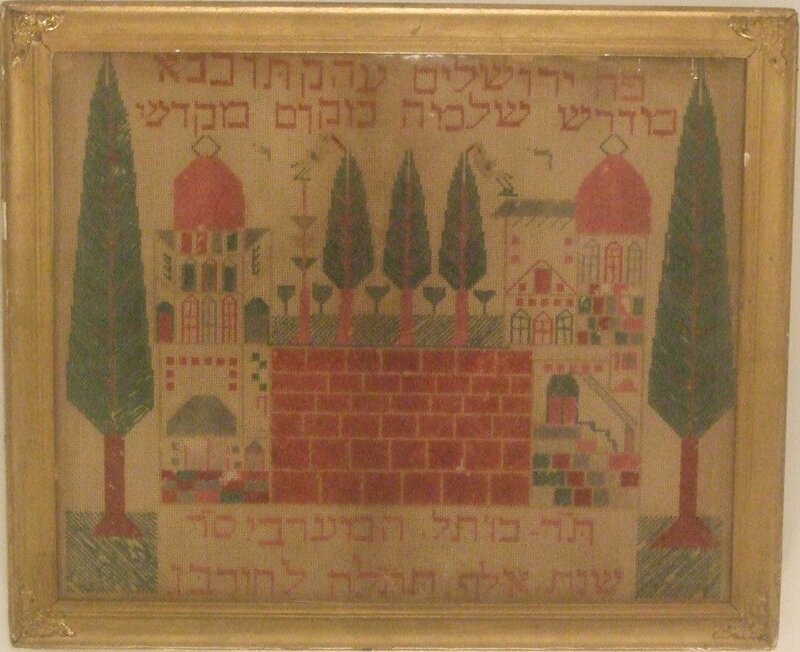 The Hebrew inscription reads "Here is Jerusalem Learning Place of Solomon Site of the Temple. These "motto" needlework pictures were printed on heavy paper containing thousands of punched holes (sometimes called Berlinwork for the place of origin of the imported paper designs). The (usually) immigrant buyer of the stamped pattern would embroider it and hang in the home. This and a companion punchwork depicting Mizrah/the East dated 1902 came from a Brooklyn home. Maker unknown. An uncommon find.